OEM’s mission has always been to increase access to higher education and serve all prospective and current IU Bloomington students. Along the way, we have launched innovative programs and strategies to achieve that goal. Follow the timeline below to see some of the major milestones in OEM’s history of student service. Indiana University is founded as a state seminary. It is one of the first public universities west of the Allegheny Mountains. Classes begin with the first enrollment of ten men. 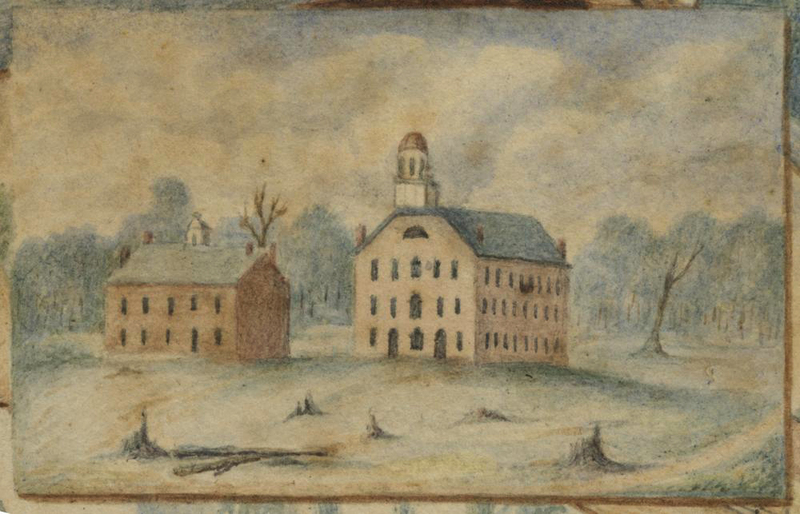 Classes are held in the Seminary Building (below), the first structure erected on campus. Curriculum is reorganized around major subjects and departments. Under IU President David Starr Johnson, students exercise more freedom in selecting a major and designing their own course of study. The university establishes several new departments; this results in more elective courses and expands the scope of existing degree programs. Library Building, renamed Franklin Hall in 1988, is completed. The Library Building contains a study area for about 200 students. Below the reading room are seminar rooms for economics, English, education, German, Greek, history, Latin, and the Romance languages. The east wing of the building holds Department of Fine Arts studios and classrooms. Director of admissions position is created. David Rothrock is appointed the first director of admissions in 1937. This position assumes admissions duties previously handled by the dean of the College of Arts and Sciences. 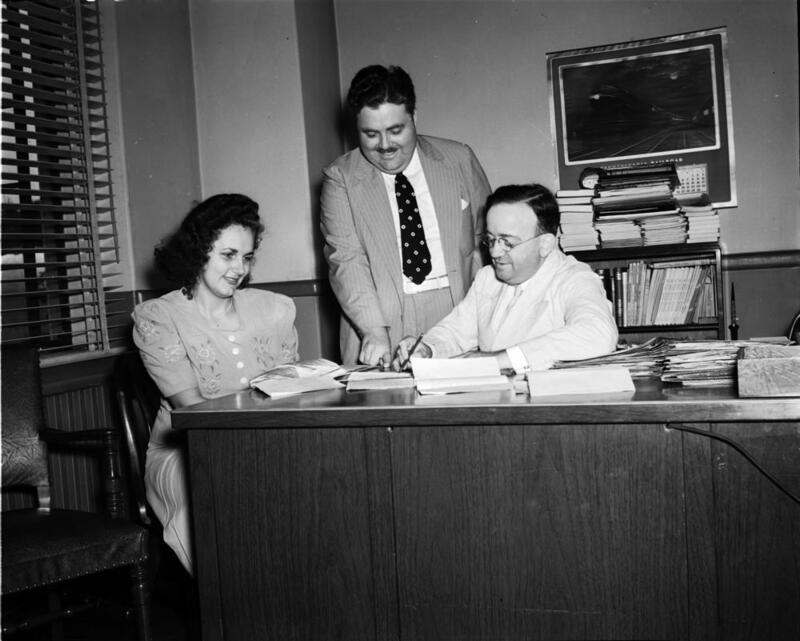 In 1938, the Office of Admissions is reorganized and expanded to perform registration and publicity tasks, with Frank Elliott serving as director until 1946. The Office of Admissions and the Office of the Registrar are combined to form the Office of Records and Admissions. 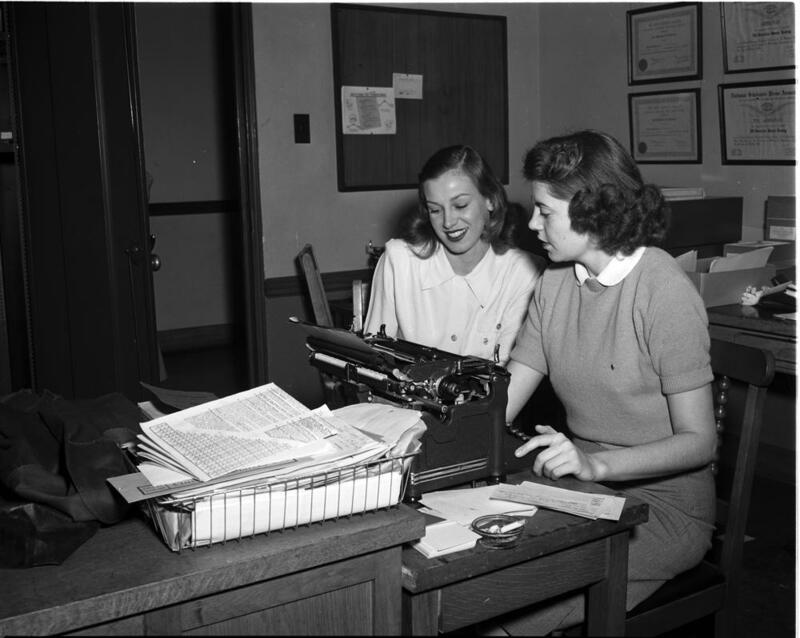 Indiana University office staff, 1949. The offices are again divided. In 1979, the Office of Records and Admissions is again reorganized into two distinct offices: the Registrar and the Office of Admissions & Recruitment. The Office of the Registrar introduces the expanded grade report. This expanded grade report provides context to clarify individual grades, GPAs, and course content for both students and outside viewers of transcripts (such as graduate schools or potential employers). IU wins CAUSE award in the Best Practices in Applications category for the Automated Course Exchange (ACE) system. This system allows for conflict-free course scheduling, which was formerly impossible. It also offers guaranteed raincheck enrollment for the future, in the event that a requested course is full at the time of enrollment. Welcome Week is officially named. The Office of First Year Experience Programs officially names the series of programs and events just prior to each fall semester—including CultureFest, RecFest, and Traditions and Spirit of IU—"Welcome Week." Vice President and Chancellor Ken Gros Louis creates the Office of Enrollment Services. The Office of Enrollment Services is created by Ken Gros Louis to unify recruitment and outreach divisions at IU Bloomington and ensure the quality, diversity, and value of an IU education. The department brings together the offices of Admissions, Student Financial Assistance, Registrar, and Orientation. Don Hossler serves as the first vice chancellor for enrollment services until 2005. IU introduces web-enabled course registration. For the first time in the university’s history, students can complete their course registration online. The Cox Scholars Program is established. The largest donor-funded IU scholarship program on the Bloomington campus, the Jesse H. and Beulah Chanley Cox Scholars Program "affirms and rewards the efforts of Indiana University Bloomington students who have demonstrated the motivation and resourcefulness required for success through their part-time work and solid academic performance." This guaranteed admission partnership between Indiana University Bloomington and Ivy Tech Community College Bloomington begins. The first cohort consists of 94 students. Under Vice Provost Roger Thompson’s guidance the organization changes its name to the Office of Enrollment Management. Vice Provost Thompson serves until 2010. The Office of Enrollment Management (OEM) oversees the offices of admissions, student financial assistance, the registrar, and Bloomington campus orientation programs. Vice Provost Thompson serves until 2010. David B. Johnson is named vice provost for enrollment management. Before being named vice provost, Johnson had worked on recruiting, marketing, and programming initiatives to attract academically talented students to IU. His previous roles in the Office of Enrollment Management include interim vice provost and associate vice provost. The Office of Enrollment Management creates a centralized Student Services Center (now Student Central), a one-stop shop for student services. The creation of Student Central aligns with the OEM mission to attract, admit, enroll, and retain students; create and manage a campus schedule, course offerings, and academic records; administer scholarships and financial aid; facilitate student transitions; and promote Indiana University and higher education. The Office of Enrollment Management introduces the Six C’s (Eduventures Innovation Award Winner). The Six C’s—Communications, Community Based Organizations, Community Colleges, Pre-College Camps and Competitions, Churches and Faith Based Organizations, Counselor and High School Programs—led to a 38 percent increase in enrollment by underrepresented freshmen over the previous five years. IU Bloomington enrolls the largest beginner class ever, with 8,097 students. The university also welcomes the most ethnically diverse freshman class in its history, and the most in-state students of any university in Indiana.